Bring your cameras and get ready for a once in a lifetime adventure as you cruise in the Alaskan waters on the working boat, the Aleutian Ballad. Upon your arrival, you'll be acquainted with the history of Alaska's fisheries as well as the type of fishing vessels and gear you are likely to encounter during your cruise through Alaskan waters. As the Aleutian Ballad pulls up on the first station, her crew goes to work. Gear Rockfish, shark, gray cod, and ratfish are likely to come flinging over the side. 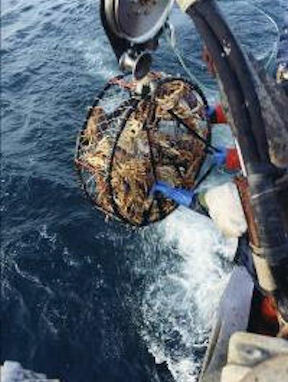 Bering Sea king crab pots weighing 700 pounds will be hauled up and landed on deck. Dungeness crab, box crab, octopus and prawns will be carefully retrieved as you observe the vessel and crew working their way through several types of fishing gear. The animals brought to the surface will be placed in a live tank for your observation. Be prepared with your cameras to capture them before they are gently released back into the sea. See and touch some of the animals in the live tank. Crab, salmon, prawns and octopus are likely candidates for a photo friendly opportunity. This tour is appropriate for guests with limited mobility. Fully confined guests can be accommodated with advanced notice. Minimum age to participate is 5 years old. Don't forget to bring your camera! Great tour to see eagles. Snacks available for purchase.